I guess posting 6 images of rabbits 6 days in a row is enough and it’s time for something a little different. 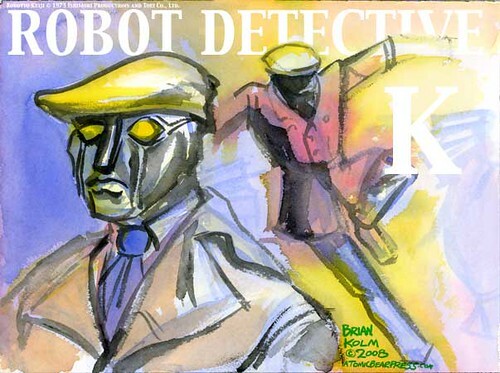 I love the ‘silly’ yet so retro cool Japanese Metal Hero Robot Detective K from a 1973 TV show. 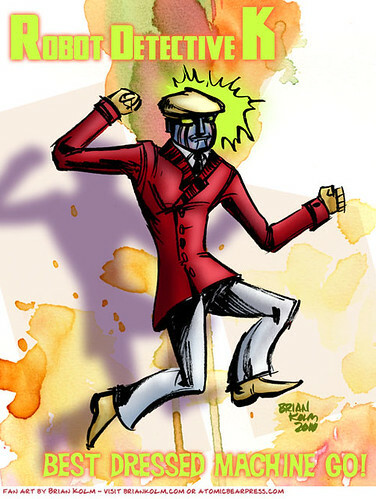 How many robots can wear a bright red blazer and yellow cap with so much style. 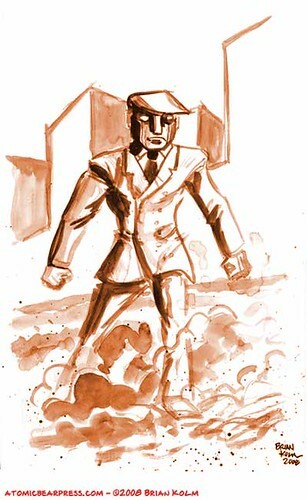 I have drawn Robot Detective Kenji before, but just realized that the images posted here had gotten lost when the website was upgraded a few years ago since the drawings are from 2008. Here they are.